I receive the quarterly newsletter of Thomas Aquinas College…a few articles are always impressive in their content or theme. I recently came across the summer newsletter on my desk and not having reviewed it since I received it, I thought it would be good after dinner reading. 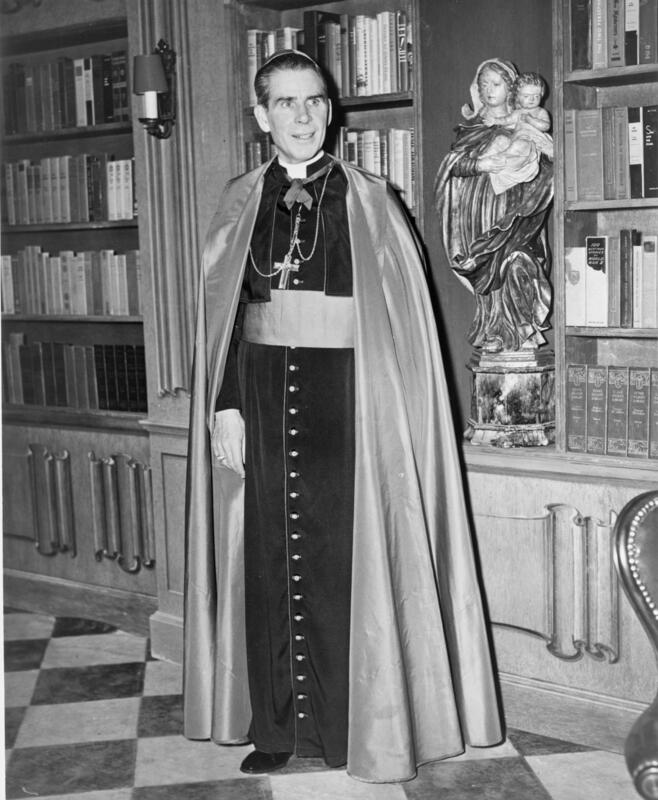 The front page article was an excerpted keynote address from 1970 given almost 18 months before the college opened its doors by the Venerable Archbishop Fulton J. Sheen. The topic was “The Restoration of the Catholic College.” I went to the website to see the entire speech as well as listen to the audio files that introduce the college as well as Bishop Sheen’s talk. His remarks are simple and poignant for time period he gave them. Archbishop Sheen’s themes are universal towards the purpose of Catholic education then, today and tomorrow. As I listened to the speech first then went back to read over his remarks, I chuckled when I came across Archbishop Sheen’s analysis that “With permissiveness, we have the problem of identity (I am sure not the identity issues we have today, but these two are not far off from each other).” The rest of the paragraph and the beginning of the next are worth quoting. “It is a terrible tragedy that we should have young men and women — 19 and 20, even seminarians , 23 years of age — having problems with their identity [only if the Venerable Sheen could see the identity issues of even senior citizens of today, like Bruce Jenner] Once upon a time there was fish on top of the Empire State Building, and the fish said, ‘I wonder what I’m supposed to be doing up here?’…How do we know the identity of anything? We knew our identity by boundaries, by limits.” Sheen is worth listening too and reflecting on knowing the current trends of society and the answers he suggests then are just as relevant for then, today and for tomorrow. I hope to have not given too much away of his remarks, they are worth our meditation, as we struggle to prepare ourselves and our children/students for the ongoing struggle of truly understanding and living out the faith. 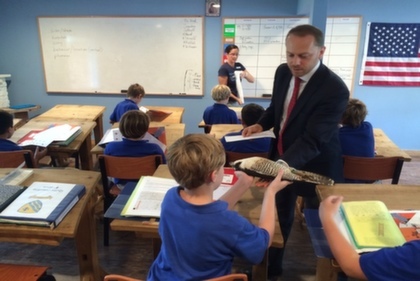 Western Academy, where we are preparing to begin our sixth year, does just that from grades 3-8; families bring their sons for an education and formation in academics and character, the physical, and spiritual. Western Academy does not subvert the formation from our students families, but rather assists parents in an education of the whole. It is this basis, of not “going” all of the time that allows our students to “smell the roses” or rephrased to engage in leisure and the wonder of learning. The boys enter into third grade to an education and formation for the whole person and as eighth graders are sent out as young men, grounded in the three requirements that Archbishop Sheen expresses, beginning to engage the world. I invite you to listen and read the remarks that were given that evening: http://thomasaquinas.edu/sheen. Reflect on the restoration of Catholic education, but also remember the restoration begins at home and in grade schools, where habits are first formed.